The current standards on donor/recipient disclosure are being challenged by a study that is currently available online but will be published in an upcoming issue of the Clinical Journal of the American Society of Nephrology. The results show that not only do donors want more information to decide whether to offer their organs—recipients also want to be more informed before deciding whether to accept. Under current practices, it is mandatory to share whether the donor is at risk for hepatitis or HIV, but the guidelines are vague about what else can be shared. This is problematic because medical confidentiality rules are very strict, leading to uncertainty about what can be shared, by whom, and what role the doctor plays in the information. The initial survey sample size was 4,200 individuals, but only 236 people both responded and self-identified as potential or actual donors or recipients. Of this number, several distinct trends were found. There was majority support (79%) for giving donors general information about the potential recipient that would affect their post-transplant health. This included elements like smoking status, heart health, and kidney function. When the question was looked at in reverse—recipients getting the same information about donors—support rose to 88%. In terms of what people were not willing to share, both donors and recipients showed minimal interest in more social factors such as sexual orientation, religion, employment, or criminal record. Both groups also wanted the transplant team involved in the various elements of information disclosure. Study authors believe their findings show that transplant participants need to be consulted further as policies are re-evaluated for possible changes. 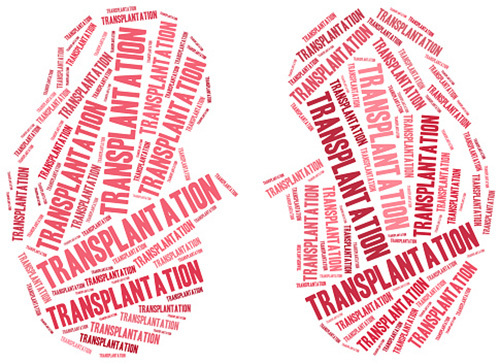 Approximately 6,000 living donor kidney transplants are performed annually in the U.S. It is not known if the study’s findings are transferable to other forms of live donor operations. Mataya, L., et al., “Disclosing Health and Health Behavior Information between Living Donors and Their Recipients,” Clinical Journal of the American Society of Nephrology August 2015; 10(9), doi:10.2215/CJN.02280215.